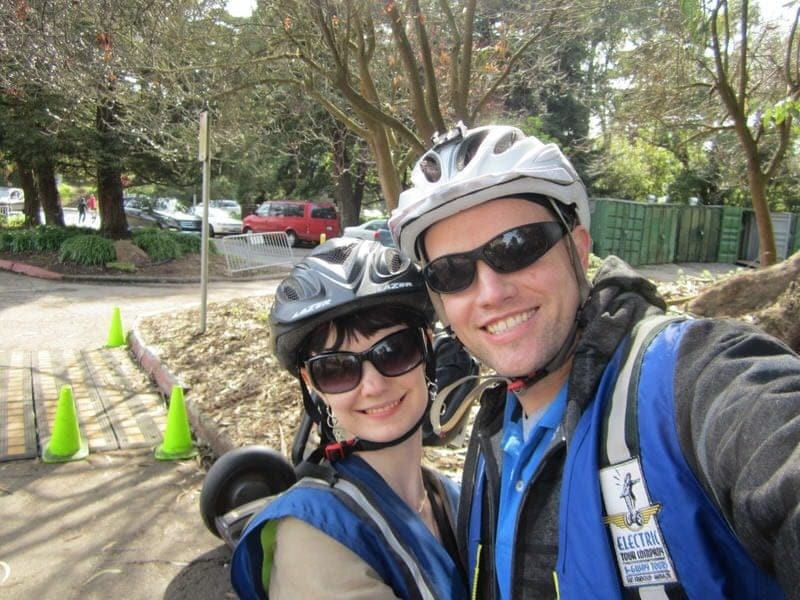 Ethan and I took advantage of the recent holiday and spent the day off work doing a Segway tour in San Francisco. Segways are those 2-wheeled battery-powered contraptions where riders stand up and navigate through body positioning and a handlebar and you’ve likely seen them being used by mall cops, police officers, park officials, theme park visitors, or other people who need to cover long distances. This was our first time taking a Segway tour and we thought that Golden Gate Park might be the perfect place given its vast size. Golden Gate Park is actually 20% larger than New York City’s Central Park, consisting of over 1,017 acres of land. We had recently walked across the park in search of the American bison on the west end and it was a long trek from the east to west side on foot, so we figured we could cover a lot more ground on a Segway. 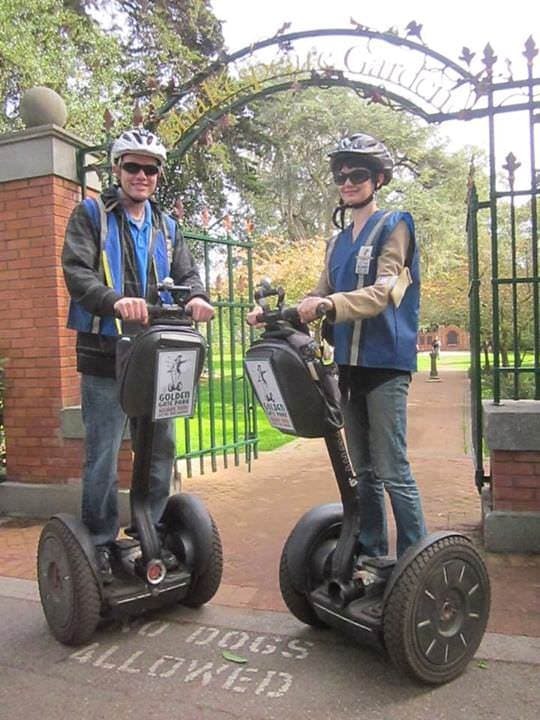 Only one company, San Francisco Electric Tour Company, currently has permission to run Segway tours in Golden Gate Park so we booked a tour with them. So how did our first Segway tour go? 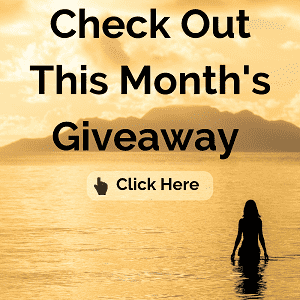 Keep reading to find out and we’ll also give you all the information you need to book your own Segway tour in San Francisco, whether in Golden Gate Park or elsewhere in the city. San Francisco Electric Tour Company Contact Info: You can call 415-409-0672 or call toll-free at 877-734-8687, or visit their company website. They have two meeting locations, so be sure to note which one you need to go to when booking. 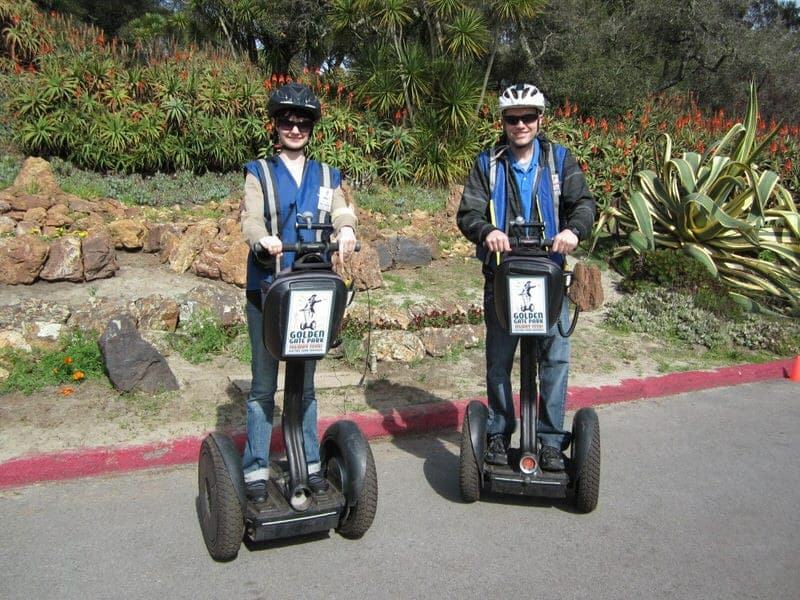 Tours Offered by San Francisco Electric Tour Company: The company offers Segway tours of Golden Gate Park, Fisherman’s Wharf and Waterfront, a nighttime tour which includes Chinatown, Little Italy and the Wharf, and an advanced tour of the hills and crooked streets (including Lombard Street) of San Francisco. 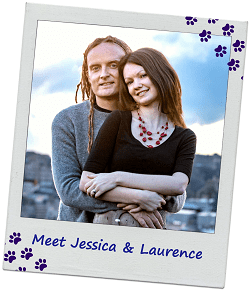 They also offer a Alcatraz ferry/Segway tour combination package, private Segway tours, and guided electric bike tours over the Golden Gate Bridge to Sausalito. Are there other Segway tour companies in San Francisco? 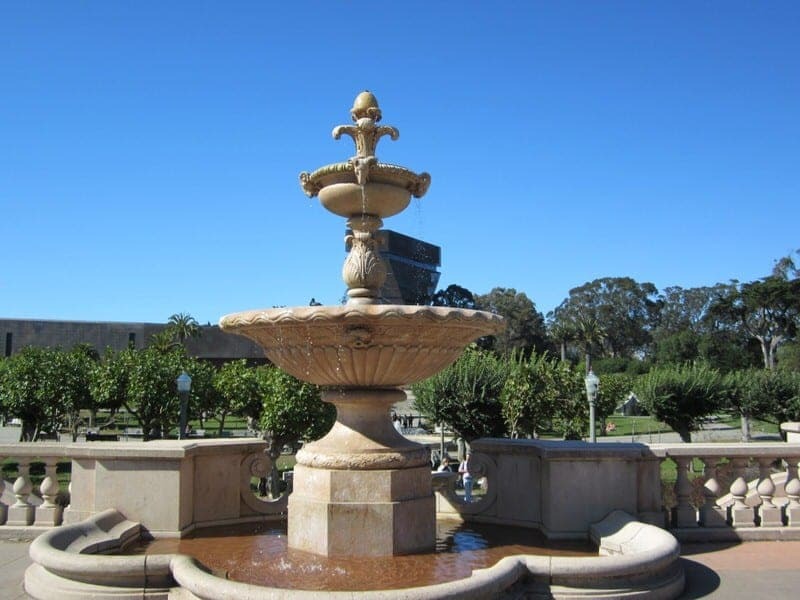 : Yes, we chose San Francisco Electric Tour Company because we wanted to do the Golden Gate Park tour and we liked their reviews. Another company offering Segway tours in San Francisco that you may want to check out is the San Francisco City Segway Tour. 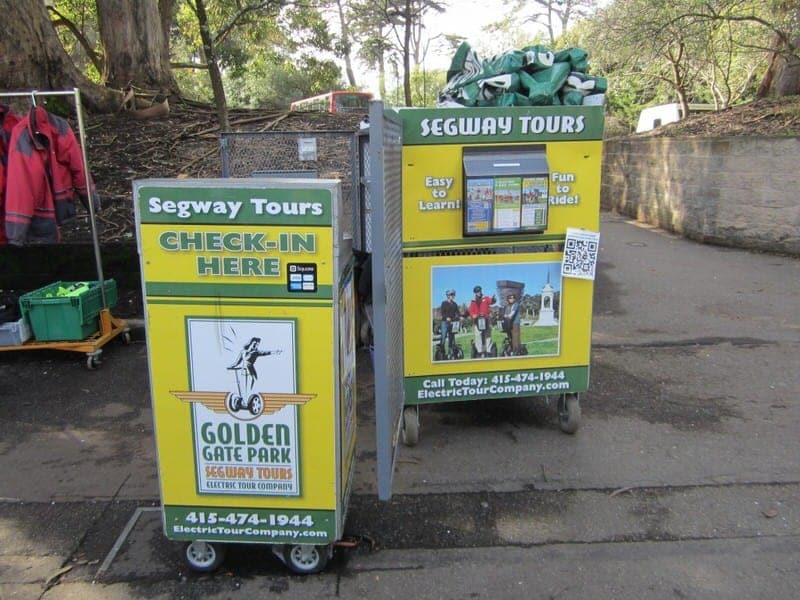 You can also rent a Segway to explore on your own in certain areas at SF Bay Segways or book a private guided Segway tours at Private Segway Tours San Francisco. 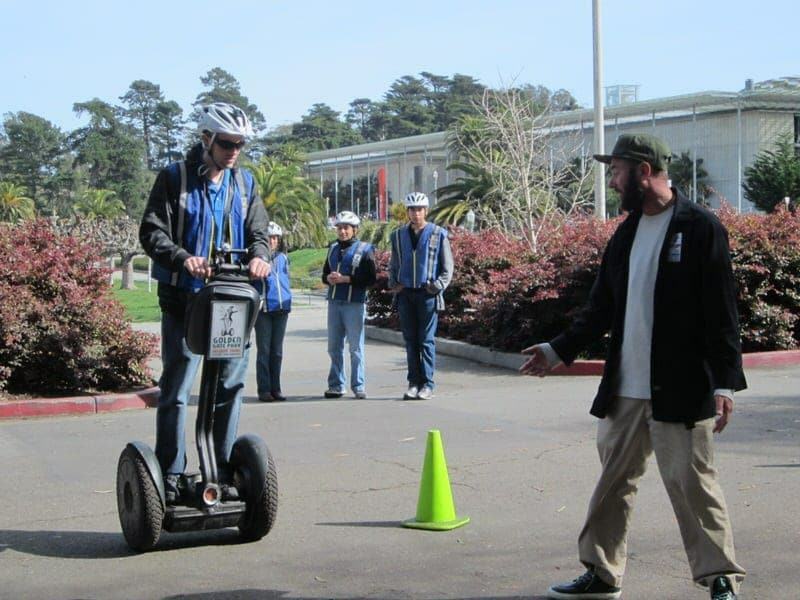 Prices: Guided Segway tours in San Francisco range from $60/person to $100/person, with most being around $70/person. 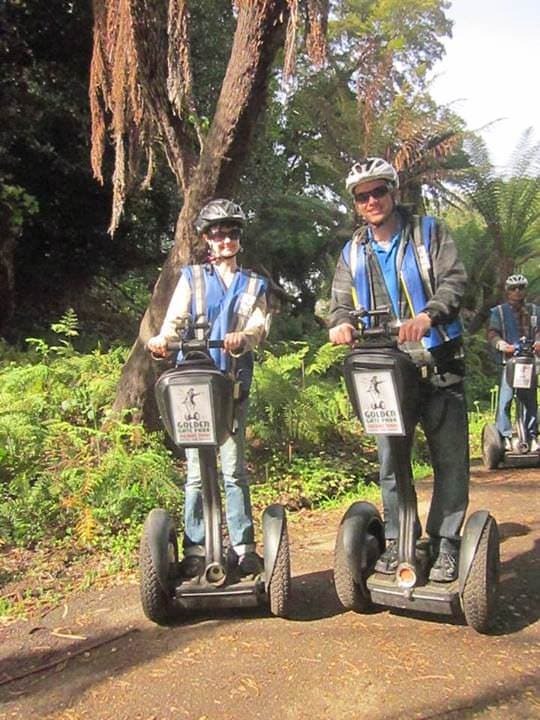 Tour Duration: Guided Segway tours last from 2 hours to 3 hours with most being approximately 2.5 hours in length. Note that the orientation, safety instructions, and practice riding generally takes 30 to 45 minutes. Reservations: You should book reservations for tours in advance, but you may be able to get next day or same day reservations during less busy times. You can book online or by phone with any of the Segway tour companies in San Francisco. Safety Restrictions for Riders? : Riders must be at least 12 years of age and weigh between 100 lbs and 250 lbs. Tours are also not recommended for pregnant women, those over age 70, and those with any medical conditions or disabilities that affect their mobility or motor skills. Children must be accompanied by a parent or legal guardian to do the tour. Is it Safe? Riding a Segway is similar in risk to riding a bike or scooter, so there are of course risks of falling or getting injured, but these are minimal when you follow the safety instructions given by your guide. 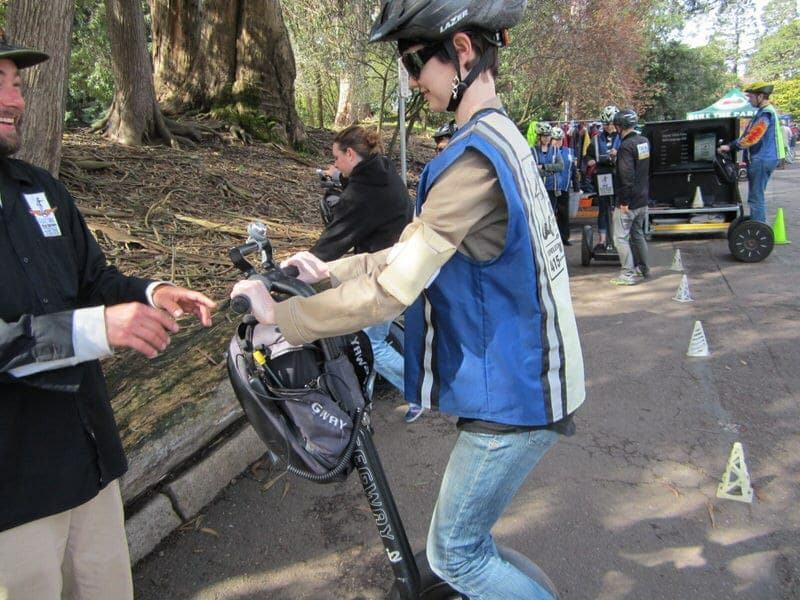 All riders are given safety instructions and must practice riding the Segway before each Segway tour, even if you have ridden a Segway in the past. If you are feeling uncomfortable, just ask the guide for a bit of extra practice. What do I need to bring? 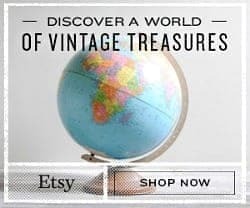 : Read the company’s confirmation information carefully, but typically you’ll just be asked to bring your booking confirmation. You’ll also want to be sure to wear comfortable clothes and shoes (no heels, open-toed shoes, or flip-flops) and bring some sunscreen, camera, hat, water, and cash to tip your guide. 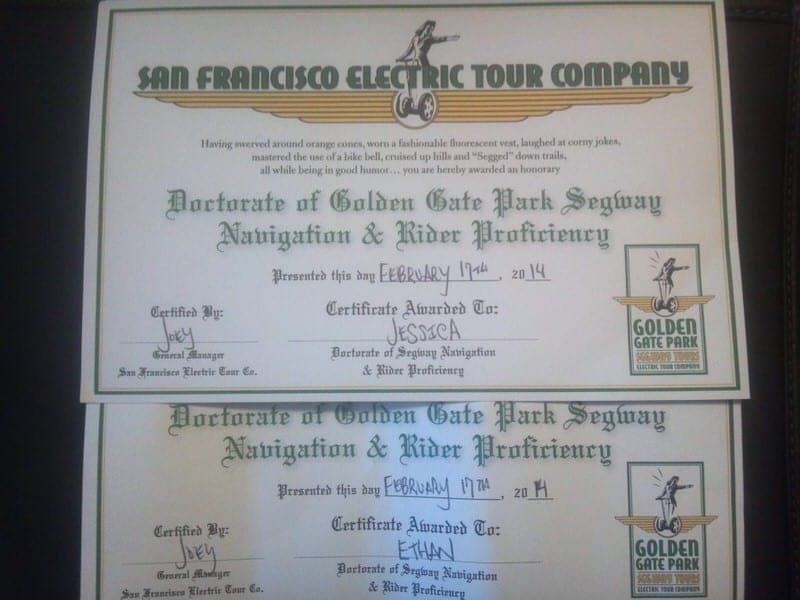 We had booked our Segway tour online with the San Francisco Electric Tour Company to do the 2.5 hour guided tour of Golden Gate Park. We headed into the city using BART and then took the N-Judah MUNI Metro streetcar to the 9th Avenue and Irving Street stop. 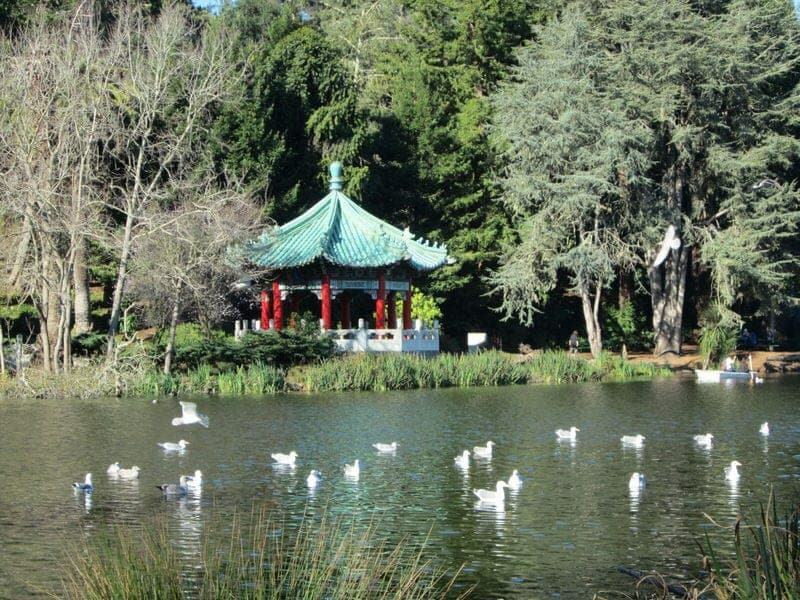 It was then a 10-minute walk to Golden Gate Park and to the meeting location near the Japanese Tea Garden. 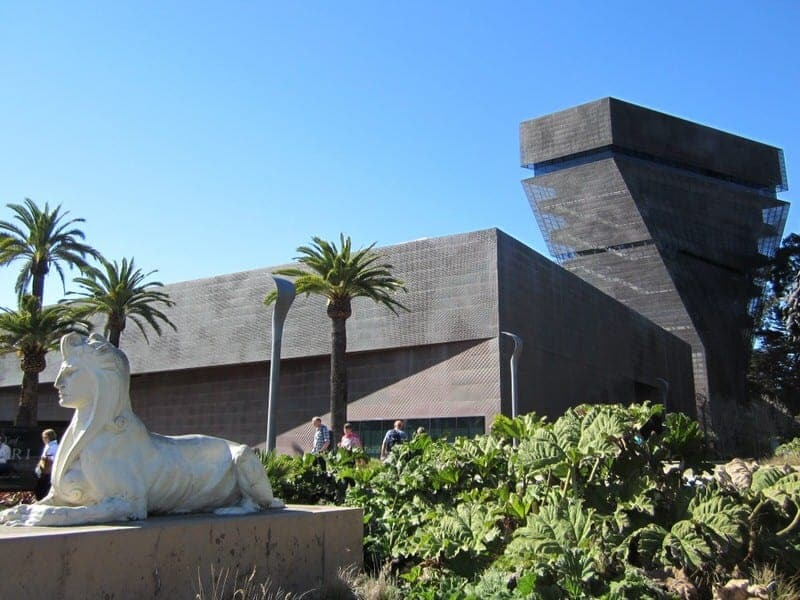 It is very close to the de Young Museum and California Academy of Sciences. There is a kiosk set up behind the Music Concourse and we waited several minutes while they checked in all the guests. We were each asked to read and sign a liability waiver and then given helmets and safety vests. Then we were divided into two groups of about 10 and introduced to our Segways. Next, guides worked with each of us individually to get on and off of the Segways. Then we each watched a short safety training video as a group. Then we all practiced moving, turning, emergency stops, going faster than allowed, and driving over a bump. The orientation and training took about 40 minutes. I was very good at getting on and off the Segway but was apparently not good at keeping my feet in the center and later had some difficultly in doing the emergency stop, and was ashamedly pulled aside to practice a bit more on the stops. Ethan had the opposite issue where he was getting on and off too quick, causing the Segway to jerk. But after several minutes of practice, the process becomes quite natural and we both got better and had no issues during the actual tour. Finally, once everyone felt comfortable and had received all the training we set off with our guide Joey! You guide leads the group and you’ll listen to your guide speak through earbuds attached to a radio receiver included in the pouch of each Segway. At first you go fairly slowly, and then once the guide felt we were all feeling comfortable, he turned up the gear so we could go faster if we wished. I think we were allowed to reach a top speed of 10 MPH. If you tried to go faster your unit warns you by moving the handle back until you slow down. We started out the tour by hearing about the history of Golden Gate Park and also some history on the use of Segways. We learned that Segways were introduced in 2001 by American inventor Dean Kamen admidst a ton of hype in the press. Ironically, the man, British billionaire James Heselden, who later purchased Segway Inc. in 2010 would die that same year in an accident involving a Segway. Some of the first sites we saw in the Park included the Music Concourse, de Young Museum, and California Academy of Sciences. Then we moved on to viewing the Conservatory of Flowers, Shakespeare’s Garden, several other flower gardens, and the Carousel. During the tour, you are not allowed to use your phone, camera, or anything else that requires you to take your hands off the handlebars or feet off the Segway while we are moving. We did stop several times briefly where you can get off, stretch, and take pictures. Our guide also took several photos of us with both a company camera and our own camera. 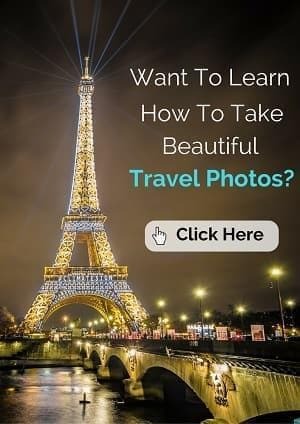 All pictures taken by the guides using their cameras can be downloaded the following day for free from their Facebook page. At some point we also went off the paved path and took the Segways off-roading onto dirt paths. The Segways performed fine off the pavement, but you have to be careful about not running over pinecones, tree roots, and other obstacles that could cause the Segway to tip. 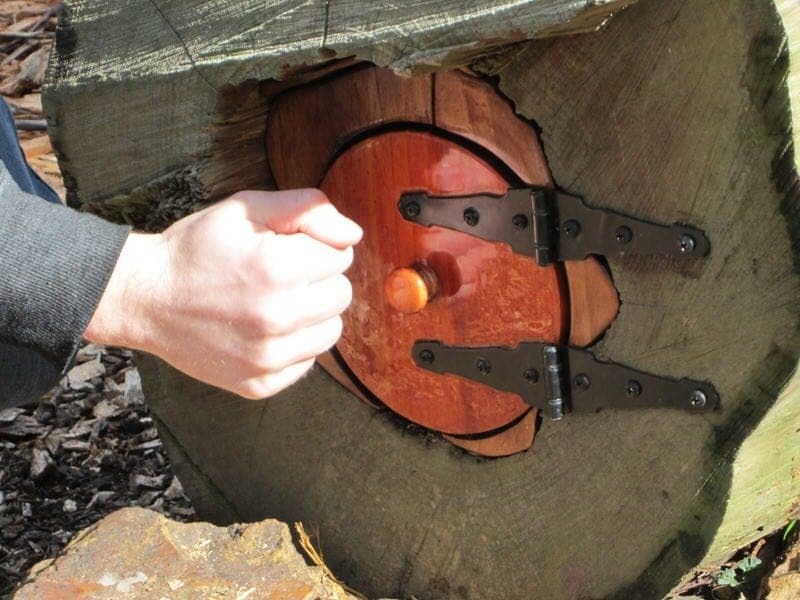 During one of the brief stops, we were even showed a secret fairy door by a guide. Next we headed to Stow Lake and Strawberry Hill, stopped for a brief bathroom detour, and then did our last stop at the Japanese Tea Garden before heading back to the San Francisco Electric Tour Company kiosk. We collected our belongings, received our doctorates in “Golden Gate Park Segway Navigation & Rider Proficiency”, and left a tip for our guide before heading off to explore more of the park on foot. Overall, we enjoyed the 2.5 hours learning how to ride a Segway and exploring the park by Segway. I think we covered about 7 miles on our Segways of the eastern side of Golden Gate Park, something that would have taken us most of the day to do on foot! So one of the great advantages is that you get to see a lot of stuff in a relatively short amount of time compared to going on foot. It was a great way to survey the Eastern part of the park. We also found our guide and the rest of the staff to be well-organized, friendly, and accommodating and we both felt very safe and comfortable during the trip. The only times that I was a bit nervous was when we were on the roads for a short period of time near traffic, but the guide paid extra attention during these times to ensure our safety. We also liked that the guide took photos of us so we have a number of photos of us on the Segways on both our own camera and those we downloaded from the company’s Facebook photo album. Now, what are the disadvatages of doing a Segway tour? This applies to any guided Segway tour not just the one we took. Similar to any guided tour, you can’t venture off on your own or stop when you want. Of course, you can request to stop but given it’s a guided tour there can’t be many unscheduled stops for breaks or pictures so sometimes you’ll pass places that you wish you had more time to see or examine. You also can’t enter or go inside any of the museums or buildings and there are some paths and areas where Segways are not allowed. The biggest disadvantage for me was you can’t take pictures while riding the Segway. While this is of course for our own safety, you won’t be able to get photos of some of the sights. We, of course, have been to Golden Gate Park before so had seen many of these places, but some places were new to us and we’d like to have taken more pictures. After the tour, we actually re-visited a couple of the places we saw on the tour (Carousel and AIDS Memorial Garden) on foot to spend more time and take photos. So I think that the Segway tours are great for those wishing to get a good overview of an area for a first time, especially when the area is large and would take a lot of time to see on foot. Have you ever done a Segway tour in San Francisco or somewhere else? Would you do one? We’d love to hear from you. That is interesting that riders have to be at least 12 years of age and between 100 lbs and 250 lbs. This might just be a good incentive for me to lose weight so that I can ride a Segway and go on a tour. That is something that I have always wanted to do before. Sounds great, I think it is great that you rented segways on your own! I think if you rent on your own you just need to be extra careful about traffic and know the laws as Segways are not allowed on certain streets and parks in SF. simple law: wherever bikes are allowed… segways are allowed… easy rule to follow. You know, we only recently really discovered all the great things Golden Gate Park has to offer after 4 years of living in the area. We’d just visited the museums mainly but have been going more frequently now to explore the rest of the park. If you have not done a Segway before, the park is a good place to try it as there is not too much traffic . This looks like fun! I think San Francisco needs to be on my list of places to go next! It looks so beautiful and fun. Have a Happy SITS Day! I’m so glad I found your blog. Thanks Jenna, SF is a great place to add to your travel list. There is so much to do in SF and within an hour or two drive of the city. What a great experience. I tried it once here in China and it was not that easy as it looks like. I struggled a lot to keep the balance!! Thanks for stopping by Agness, glad you tried it! I’ve always wanted to try a Segway tour but have been a bit intimidated. Now that I have a better idea of how it operates, it doesn’t sound so bad 🙂 This looks like an awesome area to “ride” around – it really is great that the guide took photos and for free! Yes, we chose to do our first Segway tour in Golden Gate Park because there isn’t too much car traffic for most of the ride although we did have to navigate on streets and around traffic a few times. It was definitely a nice place for a first time ride! 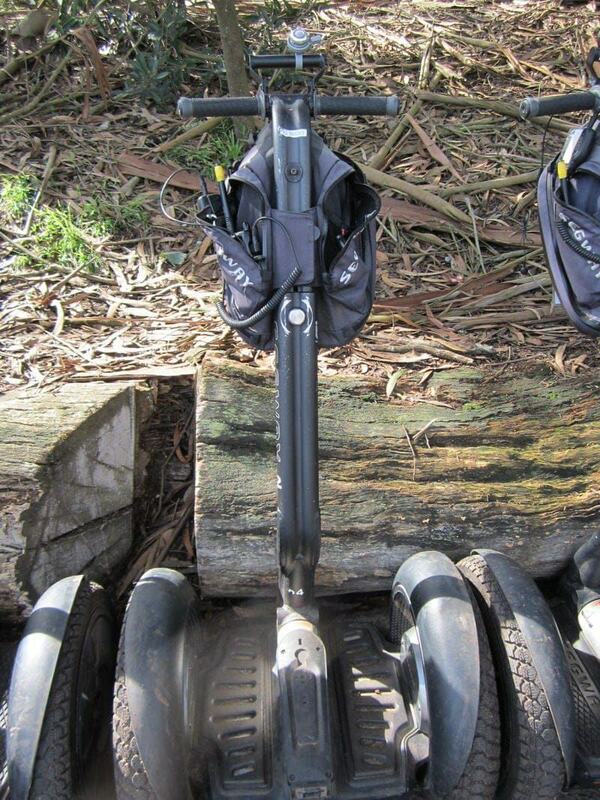 I’ve never been on a Segway tour — honestly, those devices have always seemed a bit intimidating! But maybe I’ll give one a go now that I’ve read about your experience. I’ve been to SF a few times, but I’ve never been to Golden Gate Park. I never realized it was so big and interesting! I’ll definitely check it out next time I’m in town. The Segway was really easy to get the hang of after only about 5 minutes. 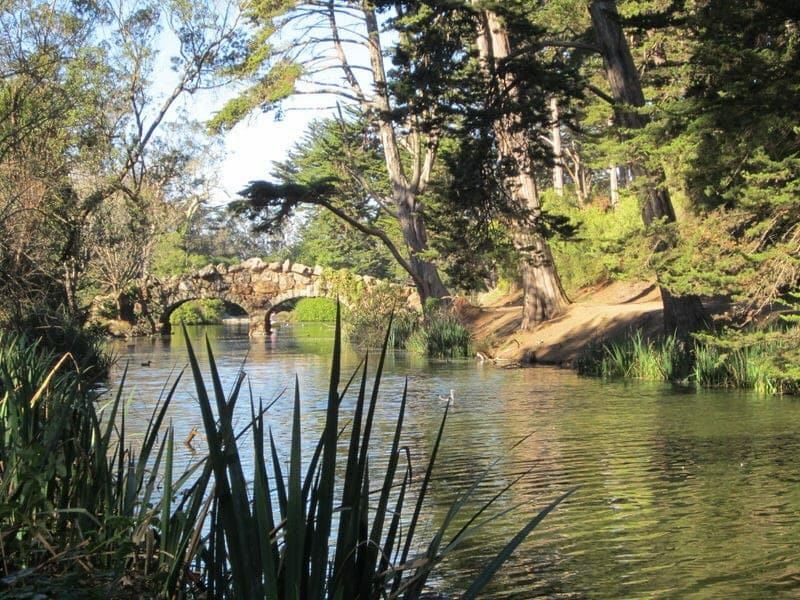 Yes, Golden Gate Park is huge and has so many things to offer. It is very popular with locals and tourists! 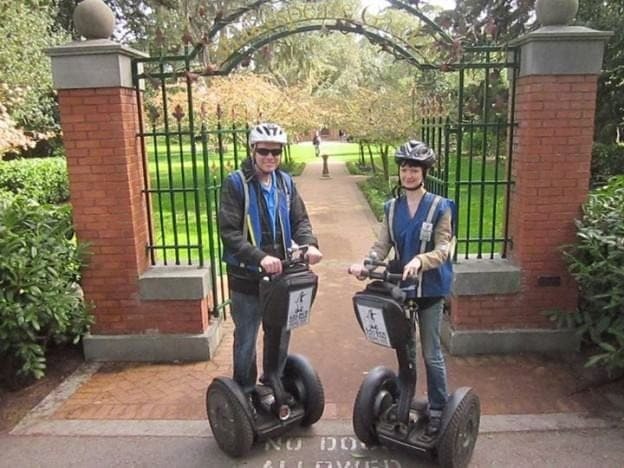 We’ve tried to go on Segway tours a couple times but it hasn’t happened, my bf is dieing to go on one though! Hope you make it to a Segway tour soon. Love to hear what you think. I have the worst balance. So a bit worried about that! Hi Johlet, I think even someone with bad balance could easily master this during the safety training. You basically just have to stand in place on it while moving and the only tricky part might be getting on and off but the guides can help with that. Thanks for stopping by my blog to visit my cat-lympics! I’m glad you had a better results with your Segway tour than my friends did. They did one in Las Vegas and the wife fell off and broke her foot – ouch! I remember seeing a Segway tour coming down the street in DC and joking to my friend that they had organized a Segway parade just for us! I love Golden Gate Park, though I haven’t been in decades. My favorite was the aquarium. Oh my goodness, that is terrible! They do pose similar risks to riding a bike and I know one of our guides was telling us about a girl who recently fell (did not get hurt too badly though) as she was taking her hands off the handlebar and reaching for things in her pockets. The California Academy of Sciences is great (it has an aquarium section in addition to several other sections) and we love to stop by to check out the fish, penguins, and white albino alligator, Claude. I have never done a Segway tour, but would love to. It looks really fun. I was going to ride a Segway when I was in Canberra once but they were all booked out. Popular! 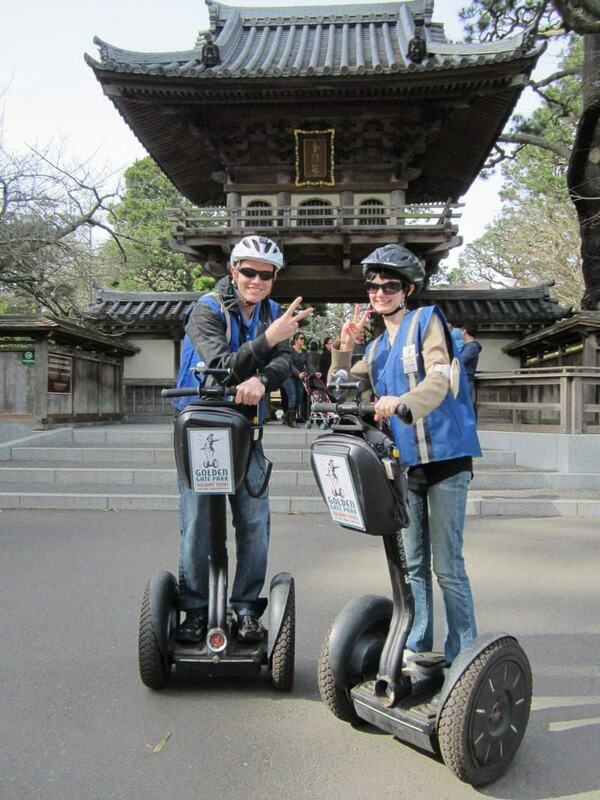 Yes, they have spread worldwide and there are Segway tours being offered all over the place. They are great for larger cities to cover more ground than you would be able to by just walking. Hope you get a chance to try one out soon! Sounds like fun! The park is beautiful. I’ve always wondered about Segways – they look so fun. I appreciate your detailed summary, as I imagine a tour like this would be similar wherever it is offered. I think I’d like to try it — and SF is a very fun spot! Yes, I think pretty much all Segway companies in the U.S. follow a similar protocol and have similar safety guidelines. I think it is a great thing to try in a large city like SF.